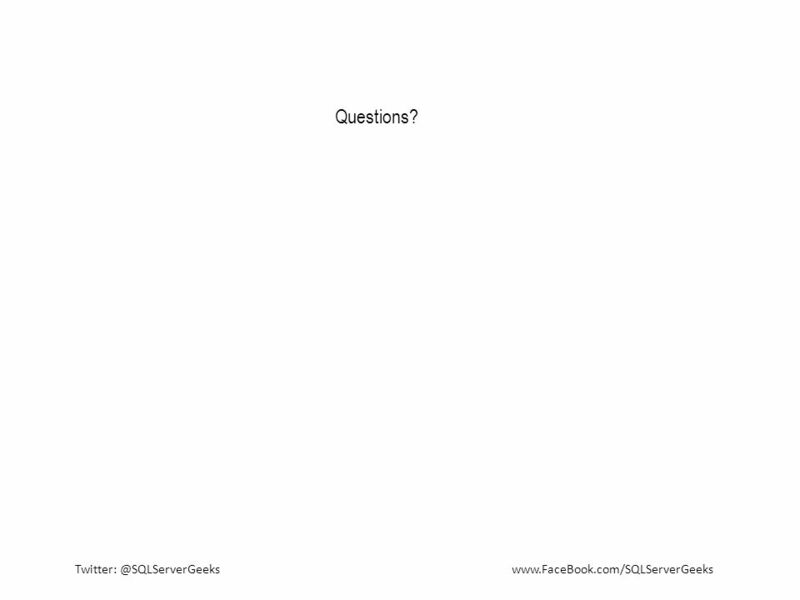 2 What will you get out of this session? What is VAS. What is B-pool. What is MTL. What is PAE/USERVA. What is AWE. 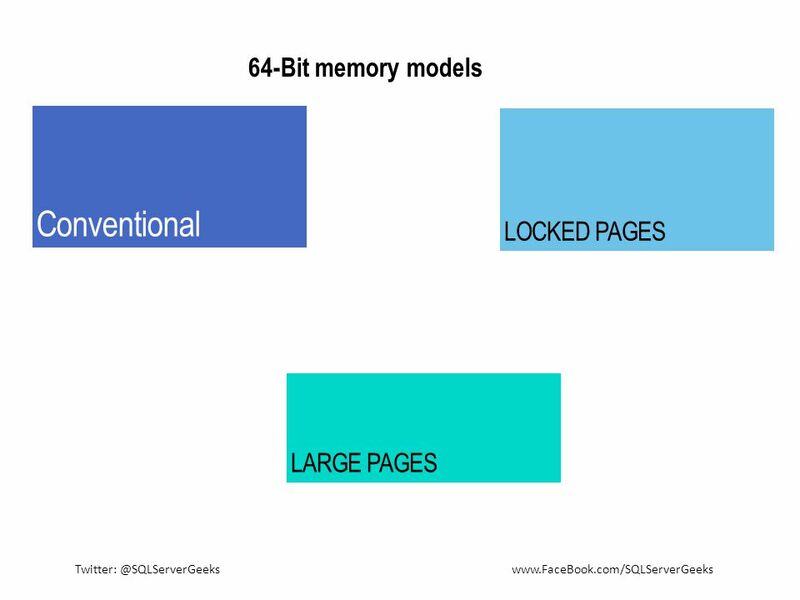 What is Lock pages in memory. Memory DMV’s. 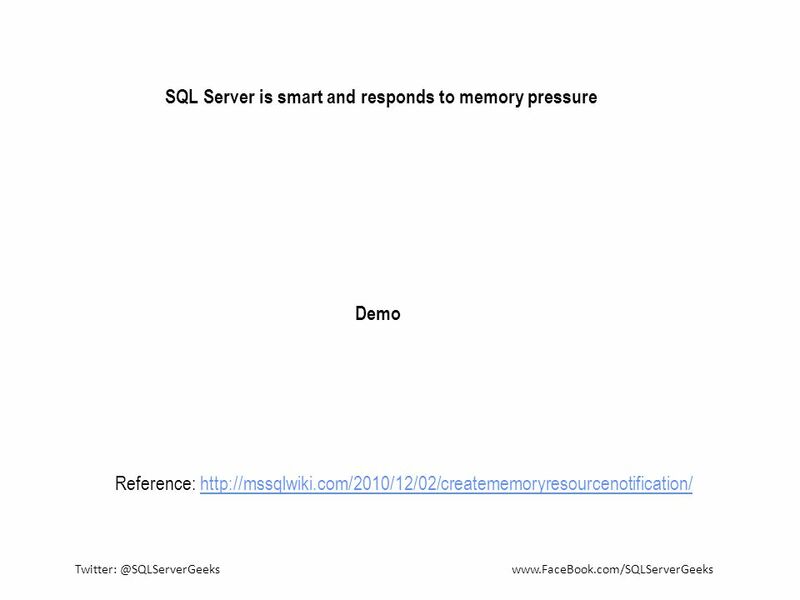 How SQL Server responds to memory pressure. 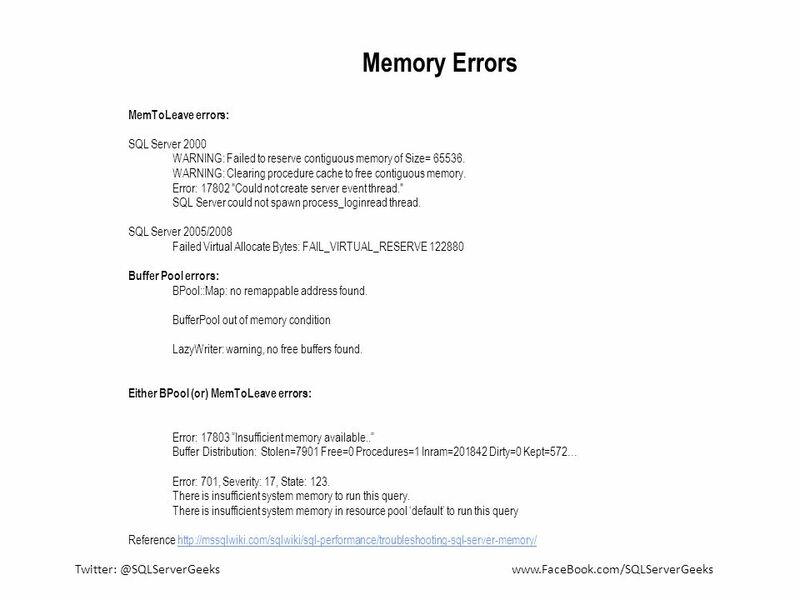 How to debug SQL Server memory errors and lot of internals. 6 AWE Limited to data and index pages. 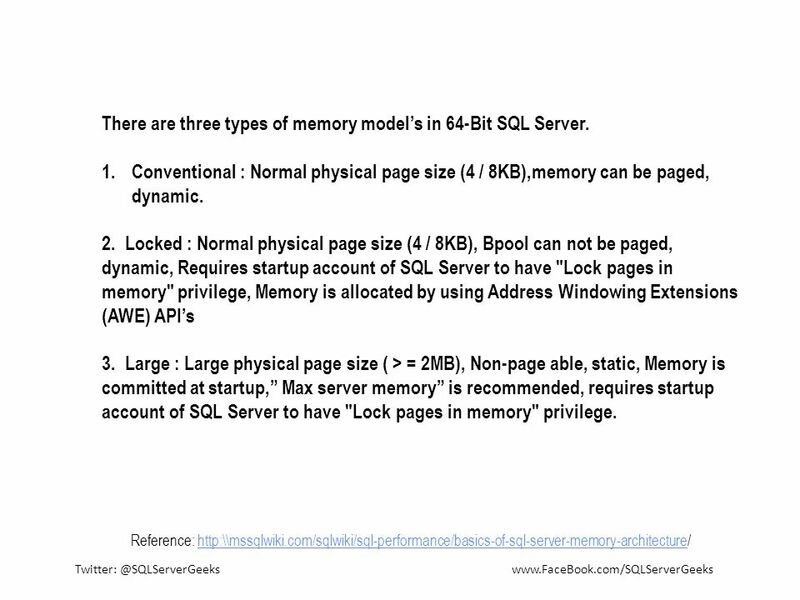 11 There are three types of memory model’s in 64-Bit SQL Server. 12 Memory calculations in 64-Bit SQL Server are straight forward. User VAS is large so no MTL. That doesn't mean we don’t allocate out side BPOOL. 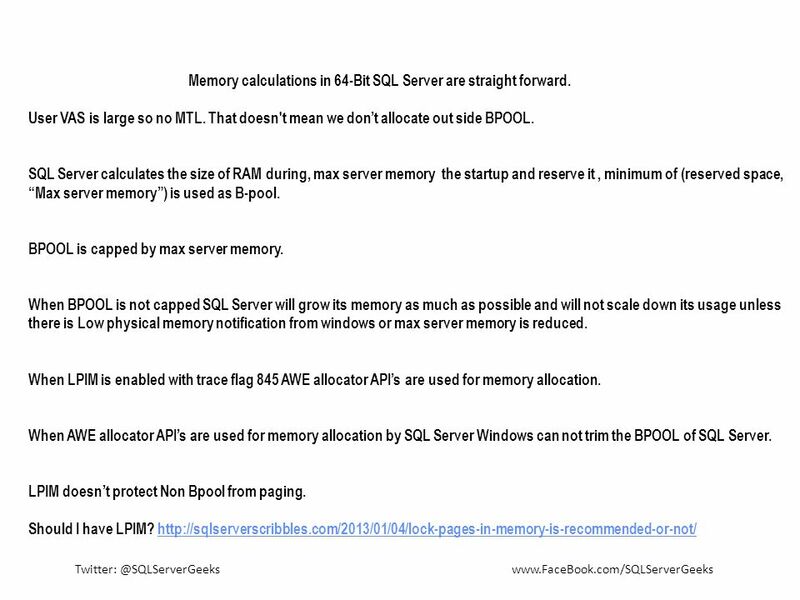 SQL Server calculates the size of RAM during, max server memory the startup and reserve it , minimum of (reserved space, “Max server memory”) is used as B-pool. 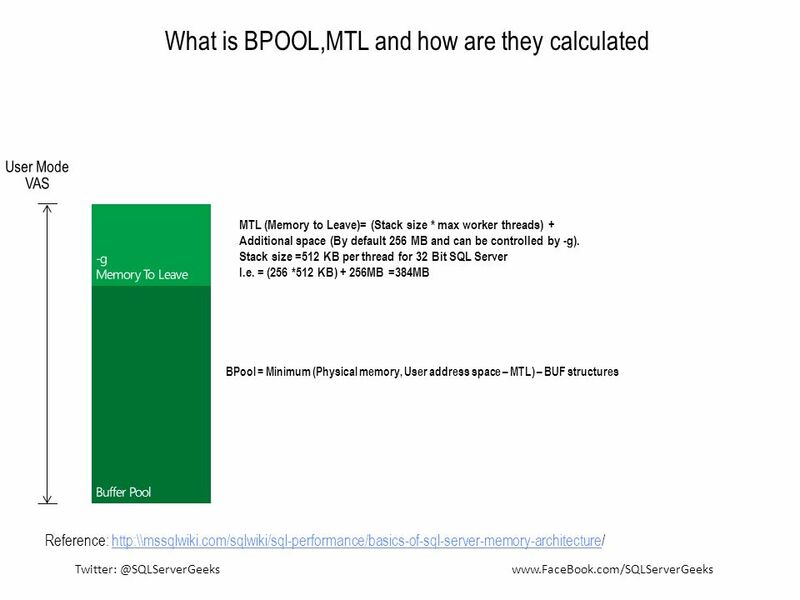 BPOOL is capped by max server memory. 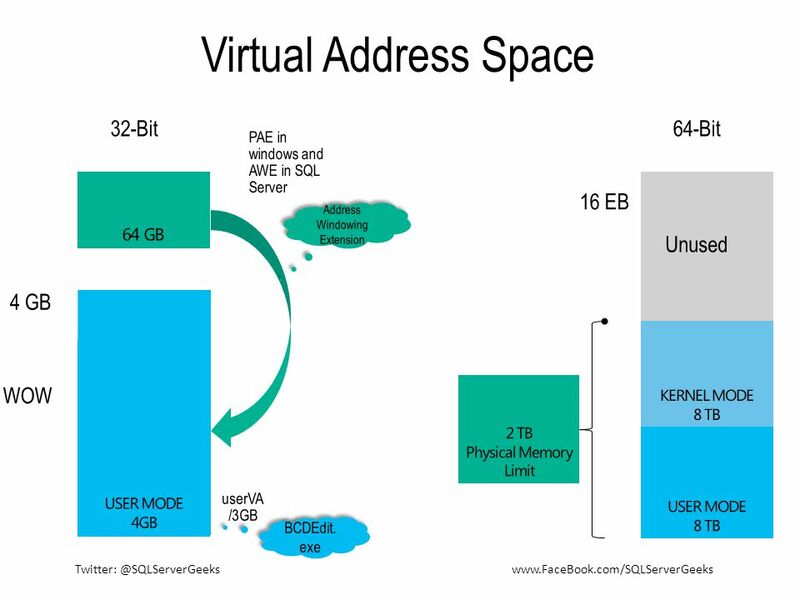 When BPOOL is not capped SQL Server will grow its memory as much as possible and will not scale down its usage unless there is Low physical memory notification from windows or max server memory is reduced. When LPIM is enabled with trace flag 845 AWE allocator API’s are used for memory allocation. 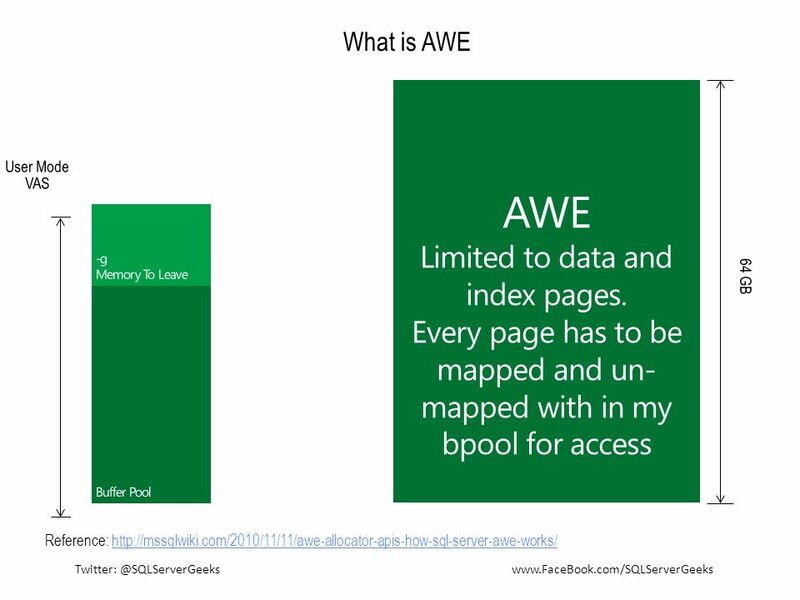 When AWE allocator API’s are used for memory allocation by SQL Server Windows can not trim the BPOOL of SQL Server. LPIM doesn’t protect Non Bpool from paging. Should I have LPIM? 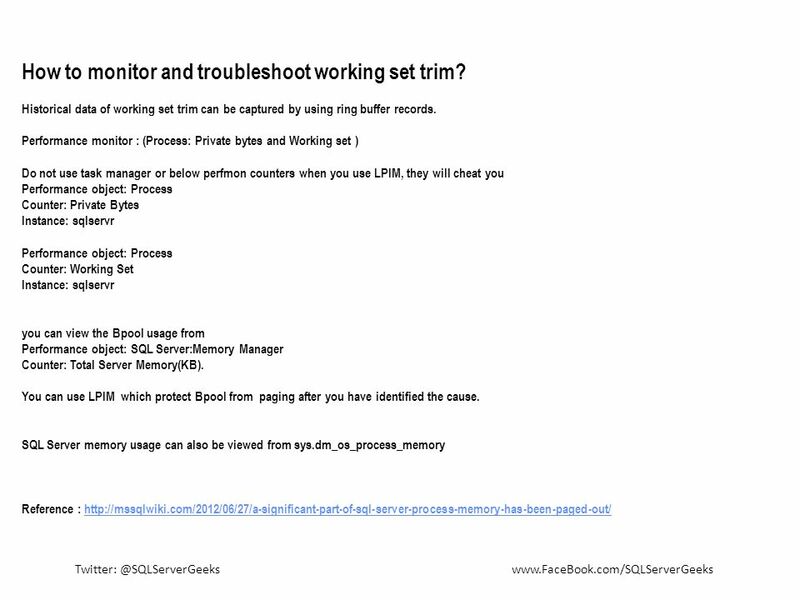 13 Working Set Trim What is working set: Memory allocated by the process which is currently in RAM. 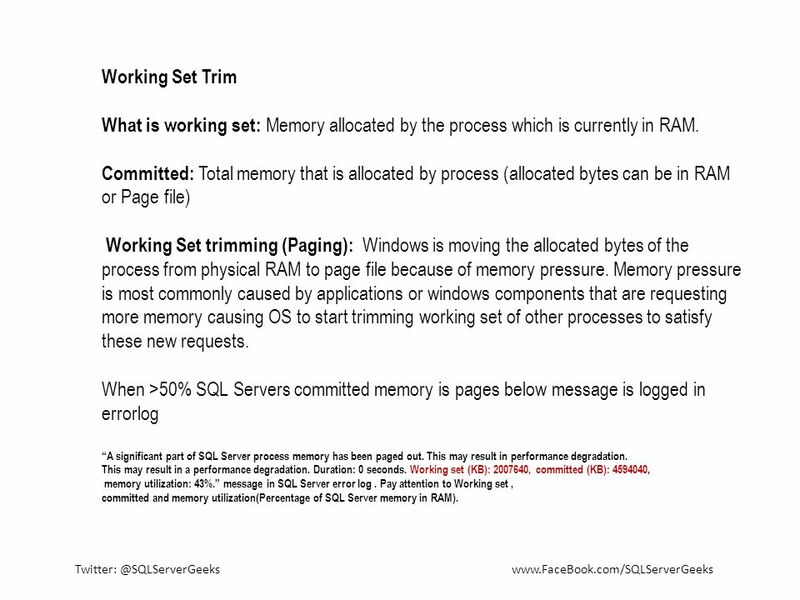 Committed: Total memory that is allocated by process (allocated bytes can be in RAM or Page file) Working Set trimming (Paging): Windows is moving the allocated bytes of the process from physical RAM to page file because of memory pressure. Memory pressure is most commonly caused by applications or windows components that are requesting more memory causing OS to start trimming working set of other processes to satisfy these new requests. 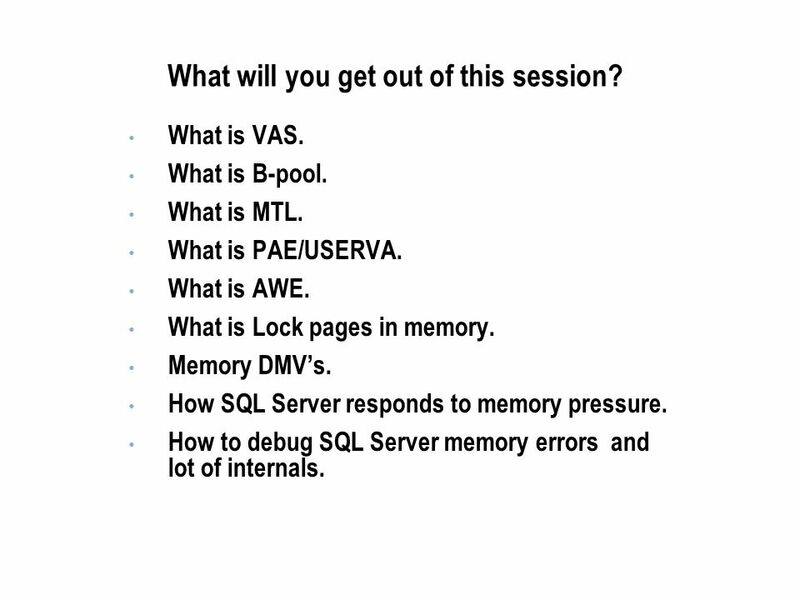 When >50% SQL Servers committed memory is pages below message is logged in errorlog “A significant part of SQL Server process memory has been paged out. This may result in performance degradation. This may result in a performance degradation. 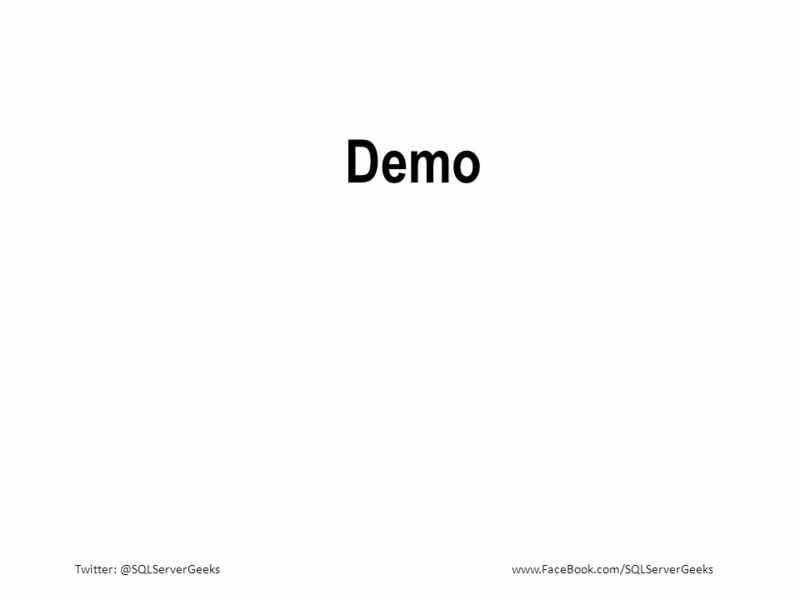 Duration: 0 seconds. Working set (KB): , committed (KB): , memory utilization: 43%.” message in SQL Server error log . 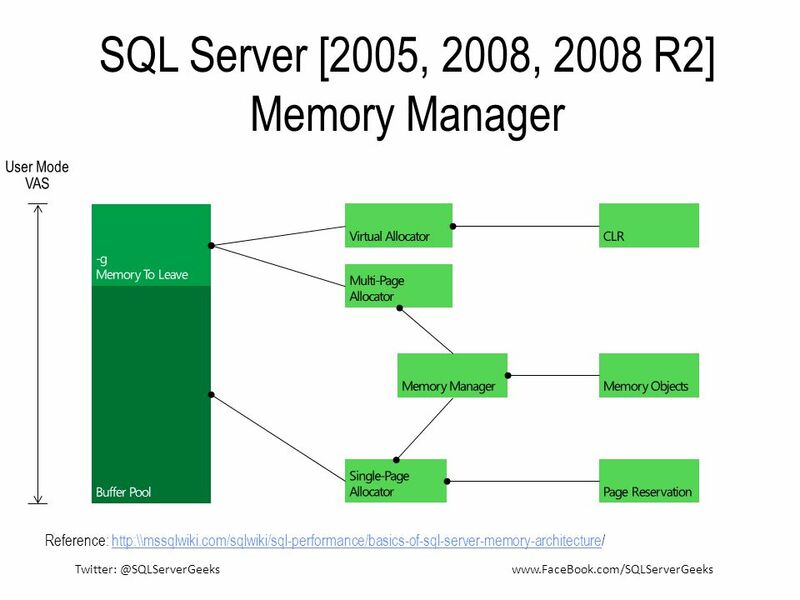 Pay attention to Working set , committed and memory utilization(Percentage of SQL Server memory in RAM). 14 How to monitor and troubleshoot working set trim? 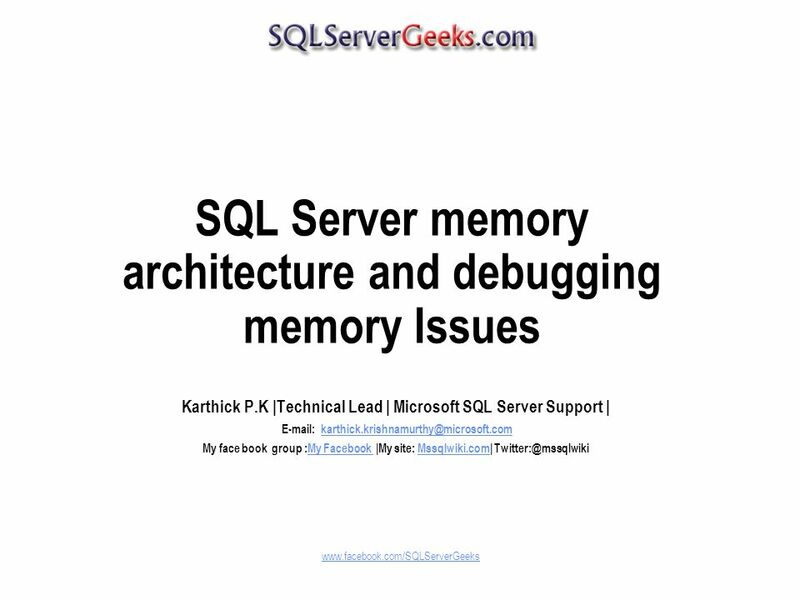 Download ppt "SQL Server memory architecture and debugging memory Issues"
Virtual Memory. Hierarchy Cache Memory : Provide invisible speedup to main memory. How to Detect a Memory Leak By Using System Performance Monitor in Windows 2000. Chapter 14 Chapter 14: Server Monitoring and Optimization. Chapter 11 - Monitoring Server Performance1 Ch. 11 – Monitoring Server Performance MIS 431 – created Spring 2006. 11 MONITORING MICROSOFT WINDOWS SERVER 2003 Chapter 3. Check Disk. Disk Defragmenter Using Disk Defragmenter Effectively Run Disk Defragmenter when the computer will receive the least usage. Educate users. 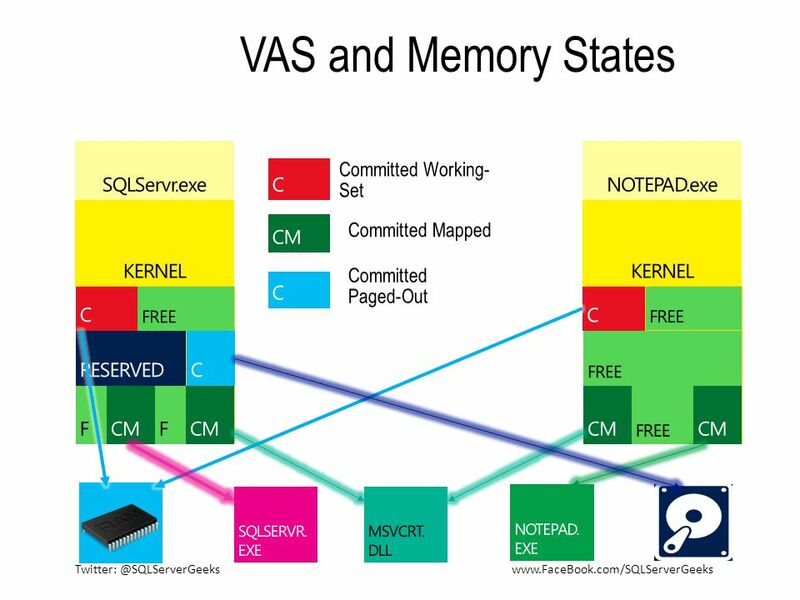 Chapter 9 Overview  Reasons to monitor SQL Server  Performance Monitoring and Tuning  Tools for Monitoring SQL Server  Common Monitoring and Tuning. 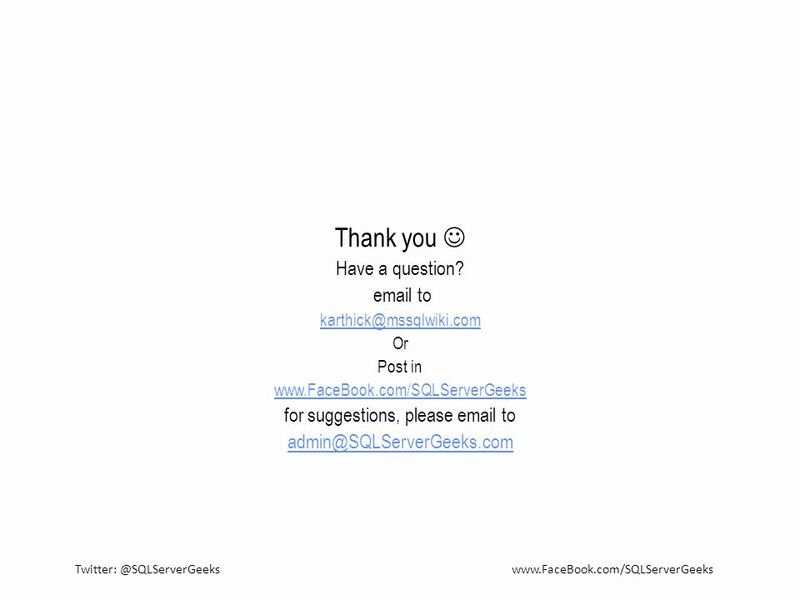 Module 8: Monitoring SQL Server for Performance. Overview Why to Monitor SQL Server Performance Monitoring and Tuning Tools for Monitoring SQL Server. Connect with life Praveen Srvatsa Director | AsthraSoft Consulting Microsoft Regional Director, Bangalore Microsoft MVP, ASP.NET. 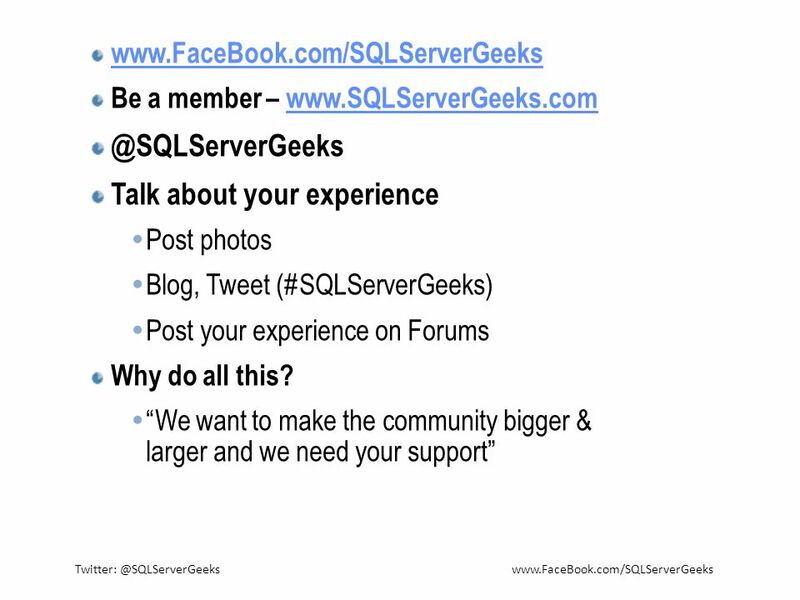 Kevin Kline, SQL Sentry Director of Engineering Services, Microsoft SQL Server MVP since 2003 Twitter, Facebook, KEKline. Virtual Memory Tuning   You can improve a server’s performance by optimizing the way the paging file is used   You may want to size the paging file. Oracle Memory Configuration on Windows Server Configuring Large Memory for Oracle on 32-bit and 64-bit Windows. Module 15: Monitoring. Overview Formulate requirements and identify resources to monitor in a database environment Types of monitoring that can be carried.